I am always on the look out in my day job to find out more about some of the diverse and different fundraising events that happen around the world to help provide funding for organisations that support people with HIV and AIDS and that aim to educate the community some 30 years after the epidemic began. I have been very fortunate to have been involved in one form or another with STYLEAID http://www.styleaid.com.au here in Perth since its inception nearly 17 years ago and have been very proud to see it evolve into the number 1 fashion fundraising event here in Perth. Any one who works on events knows the logistics and time needed to put on any event is time-consuming, detailed and demands complete commitment and dedication for it to succeed. These days there are so many charities vying for our support with both money and time that we constantly have to create new fresh and innovative aspects to our events to keep the public engaged and wanting to be part of them and above all else to continue to give and relate to the messages that we are putting out there. 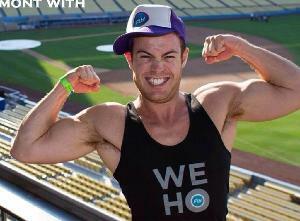 One of the events that grabbed my attention for very personal reasons is the AIDS/LifeCycle that happens in the US. This fantastic annual event has happened for a several years now and I have known about it before through a young guy who did one of our workshops at the AIDS Council and then moved to the States. We obviously had an effect on him as he did the AIDS/LIFECycle ride and dedicated it to us back here in Perth and commented on the impact that being involved with WAAC had on his life! This year I was so pleased to find out that a very special young guy who has been part of my family for over 10 years and who now lives in the US is taking part in the 2014 AIDS/LifeCycle to help raise money for the very important work that 2 organisations – one in San Francisco and one in Los Angeles do to aid people with HIV and AIDS. 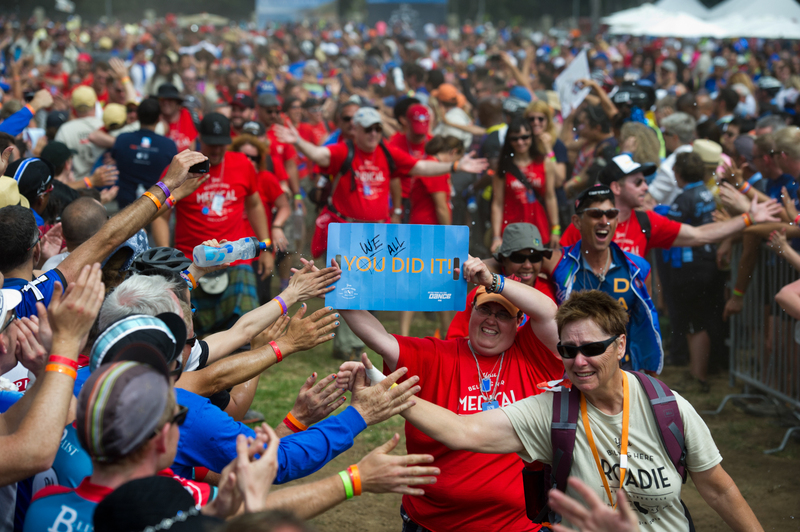 AIDS/LifeCycle is a fully supported, seven-day bike ride from San Francisco to Los Angeles. It’s a life-changing ride—not a race—through some of California’s most beautiful countryside. 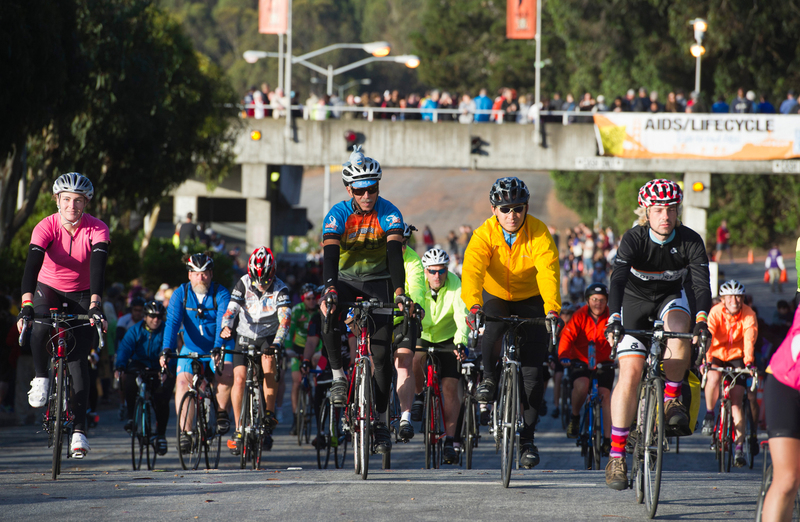 AIDS/LifeCycle is co-produced by L.A. Gay & Lesbian Center and San Francisco AIDS Foundation and is designed to advance their shared interest to cut new HIV infections and improve the quality of life for people living with HIV/AIDS. They are perfect sentiments that highlight that even in 2014 HIV is still an issue for all of us and we need to continue to be vigilant, to educate the communities that we are a part of and of course to support people with HIV and AIDS that live with us and touch our lives. This is disease has touched members of my friends and family for a large part of my life. While HIV/AIDS is no longer a death sentance it is still a disease that effects millions of people world wide. The money I raise will not only goes towards finding a cure but also has a direct effect on the day-to-day life of people living with HIV/AIDS in California. I ride for those we have lost, I ride for those we can prevent and I ride for the survivors. Even in 2014 we must stay focussed on working together to end HIV and to do that we still need to raise funds and along the way educate the people in our communities about the impact that HIV still has and that we can all make a difference by supporting each other and supporting the organisations that are attempting to make a difference to those living with the virus!